Palm Beach State College’s Music Department will host two-time Grammy award winner and jazz trumpeter Roy Hargrove during a Tuesday Nite Big Band concert at 7:30 p.m. Nov. 21 at the Duncan Theatre. The Big Band will also perform with the PBSC jazz combos at 7:30 p.m. Oct. 24 at the Eissey Campus Theatre. Tickets to the Nov. 21 concert with Hargrove are $15 and $5 for PBSC students, faculty and staff as well as K-12 students. Tickets to the Oct. 24 concert are $10 and free for PBSC students, faculty and staff as well as K-12 students. 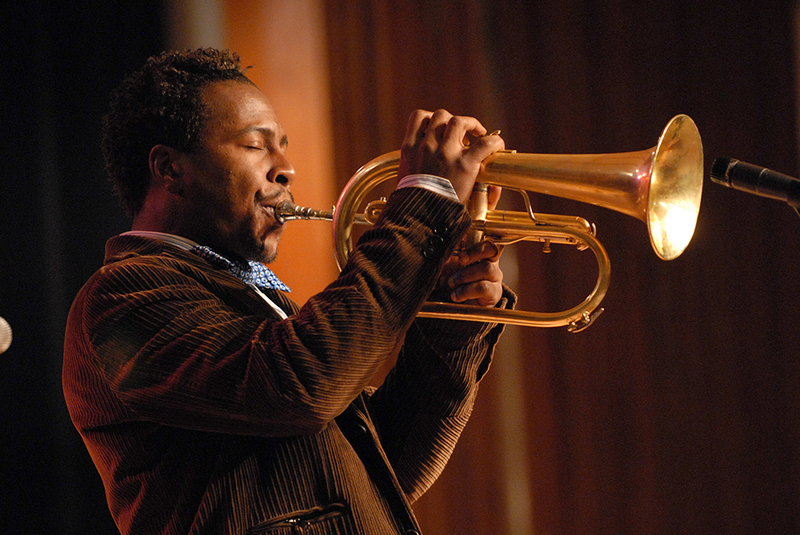 Born in Waco, Texas, Hargrove began learning the trumpet in the fourth grade. At 16, he was studying music at Dallas’s prestigious Booker T. Washington School for the Visual and Performing Arts. Midway through his junior year, he was discovered by Wynton Marsalis, who invited him to sit in with his band at Fort Worth’s Caravan of Dreams Performing Arts Center. Word of his talent reached Paul Ackett, founder and Director of The North Sea Jazz Festival, who arranged for him to perform there that summer. This led to a monthlong European Tour. Hargrove would later become the band leader of the progressive group The RH Factor, which combined elements of jazz, funk, hip-hop, soul and gospel music. Its members have included Chalmers “Spanky” Alford, Pino Palladino, James Poyser, Jonathan Batiste and Bernard Wright. At the Oct. 24 and Nov. 21 concerts, the Tuesday Nite Big Band will perform the following tunes: “Time Check” by Don Menza, “Vierd Blues” by Miles Davis, “On the Ginza” by Wayne Shorter, “Back Home Again in Indiana” by Ballard MacDonald & James Hanley, “Aurora” by Patrick Williams and “Vortex” by Patty Darling. The fall concert series also features the PBSC Concert Band and Concert Chorus at 7:30 pm on Nov. 28 at the Eissey Campus Theatre and Dec. 5 at the Duncan. Tickets are $10 and are free for PBSC students, faculty and staff as well as K-12 students. There will also be informal free jazz evenings featuring PBSC student combos at 7:30 p.m. Nov. 9 and 16 in the Humanities Building room 114 (Black Box) at Lake Worth. To view the full list of events, visit www.palmbeachstate.edu/Programs/Music. For more information, call the Duncan Theatre box office at 561-868-3309 or the Eissey Campus Theatre box office at 561-207-5900.